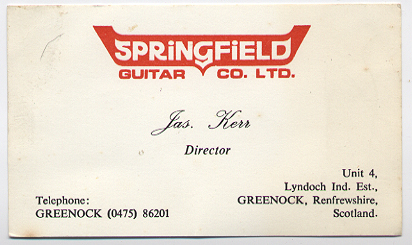 If I recall he liked those National/Supro "string through" pickups. Yes, the Dumble amps + vintage National, Supro and Rickenbacher 6-string steels + an amazing amount of skill and musicality = the Lindly electric sound. He often tuned up or down to enharmonic versions of Open E such as F, G and Eb. I saw Lindley several times when I lived in LA. He is the ultimate sideman, btw, He played lap steel with two amps, one straightforward and the other with all sorts of effects. IMHO, that's how he got that tone. I hope prospective Guitar Builders who post here often take heed of the advice given by Rick Barnhart and Andy Volk. Expensive Pickups sprinkled with Fairy Dust will get you nowhere. I play lap here in NC, and have my own make of laps. I chase the Lindley tone, as it is my fave. I use a custom soapbar P-90 pickup in my laps, made by Tom Brantley Rewinds just for me. I am very happy with the results I get. Jason Lollar can supply the string through Valco pickup and it is excellent, I have had one pass through my hands on a coodercaster project. The Rickenbacker style Horseshoe is also available through Jason Lollar, but make sure that is what you want or need as they are over double the price of the Valco , Double the tone I am not sure!!! I recently picked up a Cole Clark lap dog with a Horseshoe, that was not as much as the new Lollar Horseshoe. As a Maker of Pickups who knows there are only two components in a Pickup namely, Copper Wire & Magnets I wonder if Mr Vuncannon will share with us what his Custom specifications on these two components were to give the "Lindley Tone" and if he could tell us what other components were in the Signal Chain between Pickup & Amp, or was it a straight forward Pickup Performance. As I understand things, no one can manufacture & sell a True Horseshoe Pickup without inviting a visit to Court to meet the Patent Holders, so anything on sale today is a Fake (as Donald would say) as for the String Through design, perhaps someone can tell us what there is to gain here since the strings pass over a regular Pickup and under a Steel Plate. 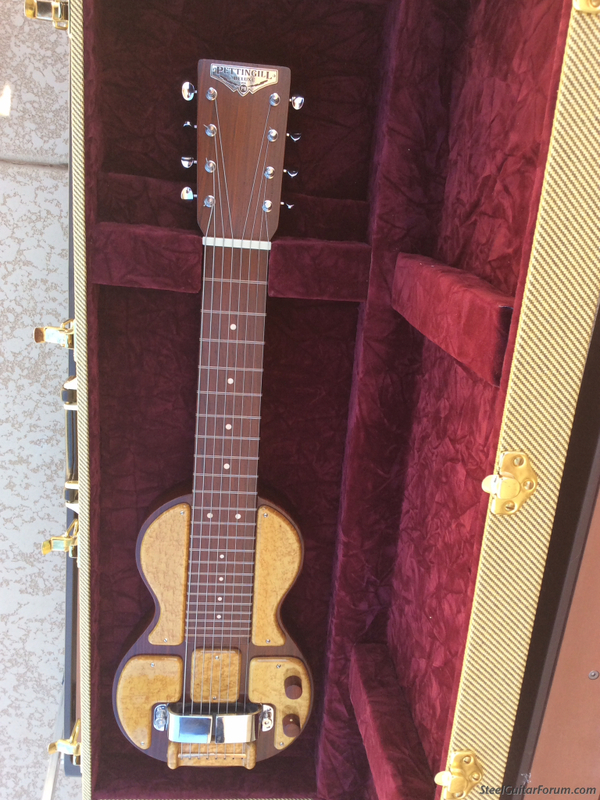 This custom guitar was built for me by the late, great lap steel master, Tom Pettingill. It has the 1.5” Lollar horseshoe. The tone is wonderful through my ‘59 Bassman, but try as I might, I haven’t been able dial in enough stank to replicate “that” tone. I doubt I could find it with a Dumble, either...but would love to find out. Mr. Lollar will tell you if you ask, the Horse shoe is for the sake of appearance only and is not Magnetized and has no effect on output. Test it with a piece of metal and let us know. That is false info. The shoes Lollar makes are magnetic. The shoes I make are magnetic. I believe I am done buying Pup's with Fairy Dust. The way I play it is a loss of my money. As long as I have a Pup that doesn't hum, and performs decently well I will stick with it. I have had very good luck with this one. Laugh all you want, you can't beat the price! CALIFORNIA  Rickenbacker International Corp. filed a lawsuit last week accusing Lollar Guitars, Inc. and its founder, Jason Lollar, of trademark infringement and false designation of origin. Plaintiff Rickenbacker is one of Americas oldest and most widely recognized makers of electric guitars. Their instruments have been favored by numerous Rock & Roll legends, including Paul McCartney, Roger McGuinn, Tom Petty and Lemmy Kilmister. Defendant Lollar manufactures and sells aftermarket electric guitar pickups. The company was started by co-defendant Jason Lollar more than a decade ago and has since developed a reputation for high quality products. Also discussed at length here on the Forum. I have a hard time describing tone, but my two Pettingill guitars sound remarkably different from one another. One has the Lollar horshoe (yes, it’s definitely magnetic) and the other one does not. I much prefer the tone of the horseshoe. James, The info you shared about Lollar's horseshoes not being magnetic is false. Your link and info above does not say anything about this. James...my set up in the video I posted was my lap straight into a Quilter Mach 2 amp. Sometimes I use a Mesa Boogie Express with a Tube Screamer...nothing more. But the sound in the vid was just lap and amp. Lindley used the Panda Ric, or a National Dynamic for most of the Jackson Browne stuff I like. ...Rock & Roll legends, including Paul McCartney, Roger McGuinn, Tom Petty and Lemmy Kilmister. I must be getting old or you are giving me the credit for a post by someone else. Talk about fake news !!! I'm so glad this number of people are enjoying their Lindley Tone, I'm sure he will be delighted to learn so many spend there time & money copying him. Actually James, he does. 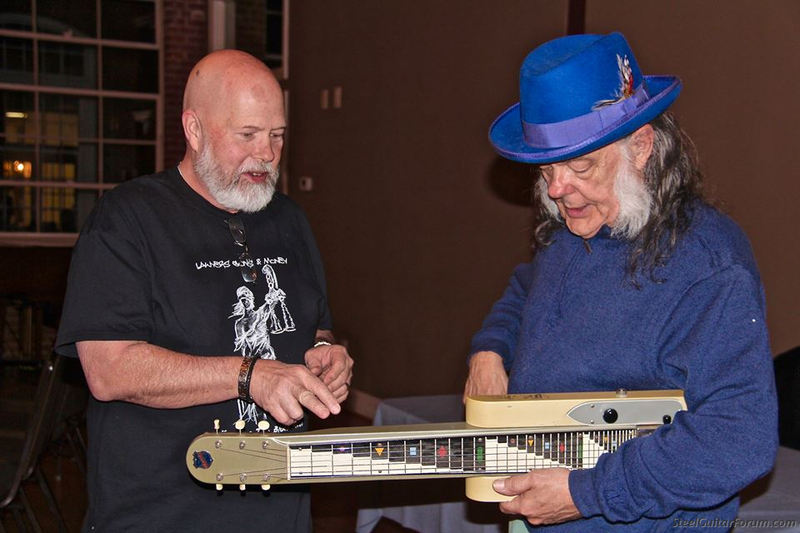 I have been able to meet Mr. Dave a few times on his solo gig stops here in NC over the years. At the last stop, I got to hang with him after the gig & talk about all things lap steel with him. 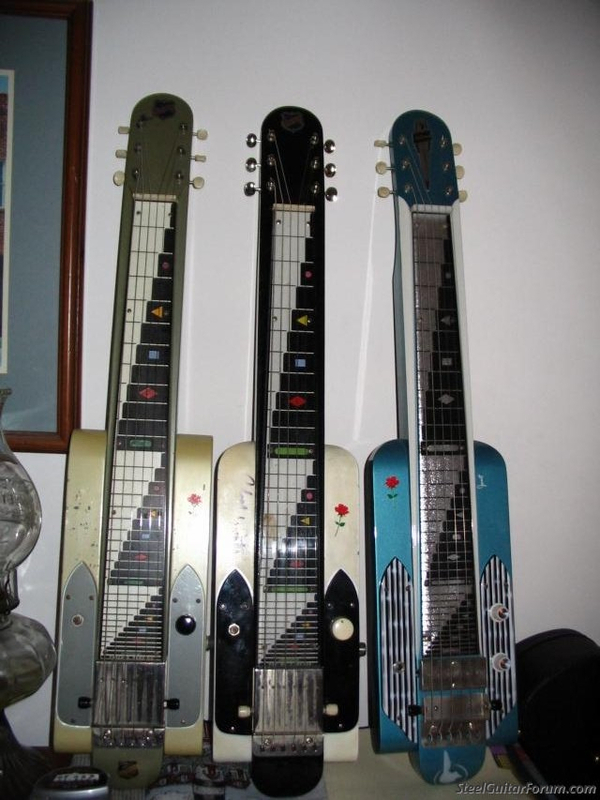 He said he loves that lap steel seems to be becoming very popular, something that he felt by himself in for a long time, at least in his style of playing. He said it was flattering to him when people named him as an influence on their playing. He also commented about a FB lap steel group that I am a part of, and was amazed that the site had so many members from around the world. He also said he does indeed go on and read comments, although he did not comment. I would not be surprised if he did not read this page also. He is a jewel of a nice guy. That is great, you know we sometimes don't realise just how much these players contribute to the Instrument we all love, they pull in players who would not otherwise have a look & listen. Love that National Dynamic James. I love those laps.